A special naan recipe, naan from ruchi's kitchen is made from maida flour which has been leavened with yeast and then baked in a hot oven. 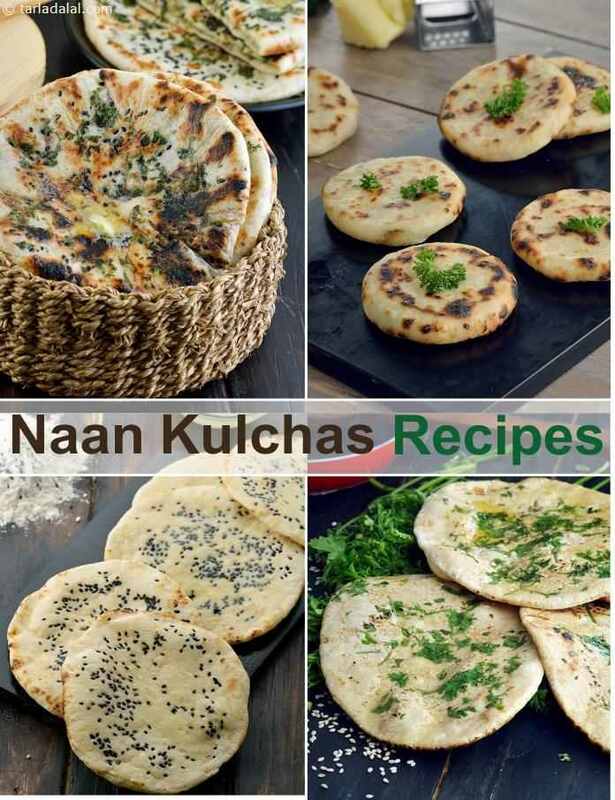 Naan is a traditional Muslim flat bread recipe, common to Lucknowi or Pakistani cuisine. Stuffed kulcha is a North Indian kulcha recipe with a spicy stuffing. The leavened maida or refined flour flat breads called kulchas are stuffed with potatoes (aloo), paneer and chopped coriander leaves. Stuffed masala kulcha are best served with channa and pickle.